I have a confession to make. I don’t exercise my dog as much as I should. Between work, family, and household obligations, walking the dog for an hour a day sometimes falls through the cracks. And I’m not alone. 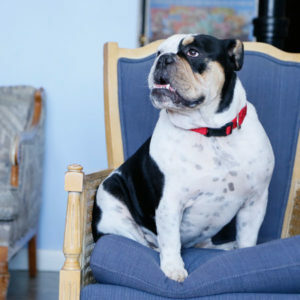 With pet ownership on the rise among busy singles as well as double-income households, it’s no wonder that latch key pets often misbehave when home alone. Every pet owner loves his or her pets. Great pet owners treat their pets like a member of the family and for dog owners in particular there is no exception. They have to be sure of their dog’s whereabouts and care at all times, and in order to ensure the emotional and physical health of the dog it is important to do so. They secure their homes when they are away with several types of alert devices and they even use collar GPS type of devices on their dogs to ensure their safe retrieval and home coming. They also keep up with the healthy interactions that their doggy has throughout the day by having a dog walker stop by and take their pets out for a walk a couple of times a day while they are at work. But no one is there to account for the other six to seven hours of the day when a lot of the stimulation and attention they need is not available because they are home alone. That’s where dog daycare comes in. 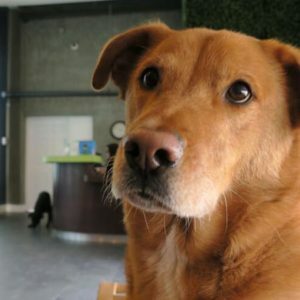 Dog daycare provides exercise, and has positive effects on canine mental health. Without adequate exercise and stimulation, your best friend can become bored and engage in inappropriate behaviors. In this article, I’ll discuss some of the benefits of daycare. 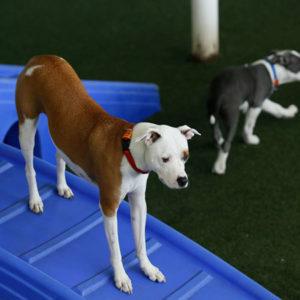 Exercise: Daycare provides your loving canine with hours of play with other dogs. 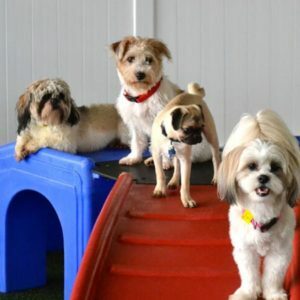 Daycare staff assesses your dog’s temperament and match your pet to others with his energy level and temperament. This matching process ensures that your pal has good time. Daycare fills in the gaps in the exercise I provide and helps keep him trim and fit. Running, playing, and getting a good workout with friends is a fantastic way to keep pets in good physical condition. Socialization: As much I love my dog, I know that he needs to socialize with other canines in order to be balanced. Dogs are highly social animals by nature. There’s nothing better for your dog than the power of regularly engaging in pack behaviors with other dogs. Daycare pups have less anxiety around other dogs. Regular play with other pooches builds confidence and improves your dog’s communication skills. Without it, he may not understand the subtle social cues and body language that dogs learn only from each other. That attitude comes in really handy when your pup doesn’t pull your arm off during a walk at the sight of the neighbor’s German Shepherd. Since sending my dog to daycare, walks around the neighborhood and trips to the dog park have become more enjoyable for him AND me. Improved behavior: Many behavior problems occur when pet owners are away from home and their dogs are left alone. Pent up energy can lead to excessive barking, whining, or howling. 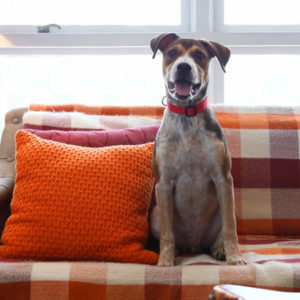 Without appropriate outlets, dogs can mistakenly choose to “play” with your furniture, shoes, the trash, or your food. Dog daycare is one of the best ways to redirect your dog into enriching activities. Upon their return home, they are generally calmer and better behaved. It is the best of both worlds for working professionals with unpredictable schedules because those occasional out of town trips, late evenings and emergencies don’t have to mean neglectful evenings or weekends where the dogs are running circles by themselves in the yard. Nowadays dog daycare facilities are full service for all types of pet owners. Whether you need to bring them by each day while you are at work; once a week for a full day of grooming and pack interaction, while you run errands; or the occasional day or overnight necessity, there are accommodations that you can rely on when you need it. Dog daycare is one of the fastest growing trends in modern pet care. So chances are there’s a great one near you. Much like children’s daycare facilities a dog daycare has specific requirements in order for your pet to stay with them. You must comply with DHLPP and rabies vaccinations, age limits and temperament preparations for being around a pack. 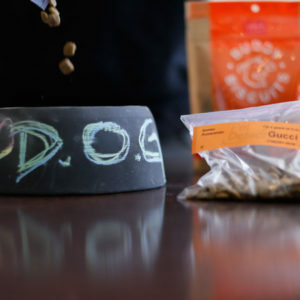 The facility workers can help your dog with socializing and curbing destructive behaviors but the age and overall health of the dog play key roles in the success of their participation in a program such as this.